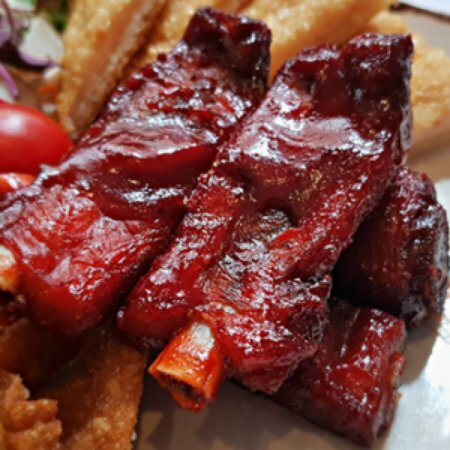 19/04/2019: Lovely restaurant food and amazing range of cocktails in the bar area. 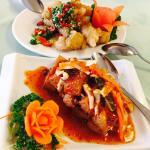 A warm and welcoming atmosphere we always enjoy a trip to Yueng Sing. The take-away food is also great. 18/04/2019: My husbands family have regular visitors to the Yeung Sing for over 20 years and have always had a great experience in both food quality and great service. Unfortunately the quality of the food has become inconsistent (temperature being a big issue) however we still visit a couple of times a week for drinks in the refurbished bar which is super trendy. 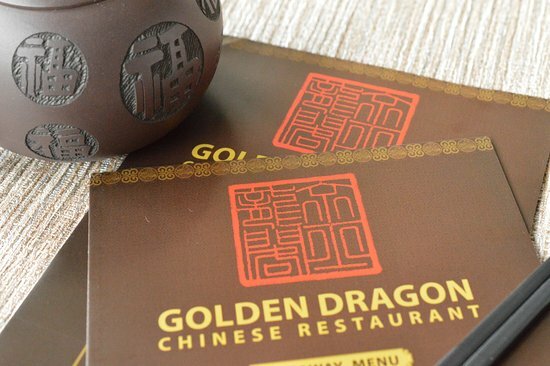 14/04/2019: As a Singaporean who is familiar with Chinese cuisine, I would say that this eatery is great for Chinese food and for gatherings with family and friends. Had a group dinner booking months ago with some friends from uni, and it was a cosy atmosphere. 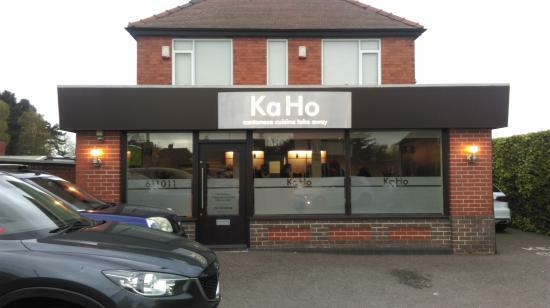 20/03/2019: Had high hopes for this place as the reviews appeared very good so we ordered a takeaway. Although the food was ready to collect in 10 minutes, the standard of the food was really not very good at all. The satay chicken was not even a little bit spicy despite it being labelled ‘hot’ on the menu. Everything seemed to lack flavour and seemed to taste very bland for some reason. The duck pancakes were probably the best thing about the food but even so, disappointing quality in comparison to what we usually receive elsewhere. 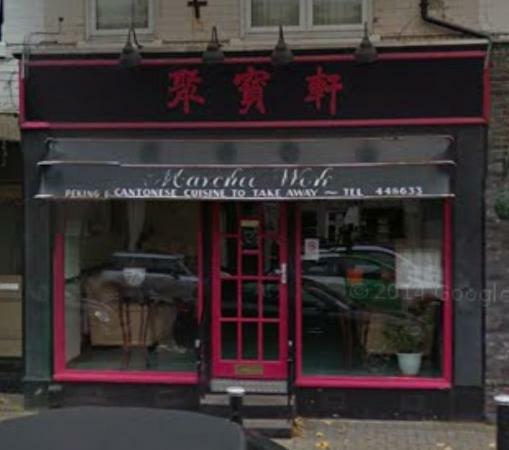 The place in general seems a bit run down on the inside, I suppose it is cheap but personally I would not recommend this for takeaway Chinese food but who knows - maybe the food is better in the restaurant? 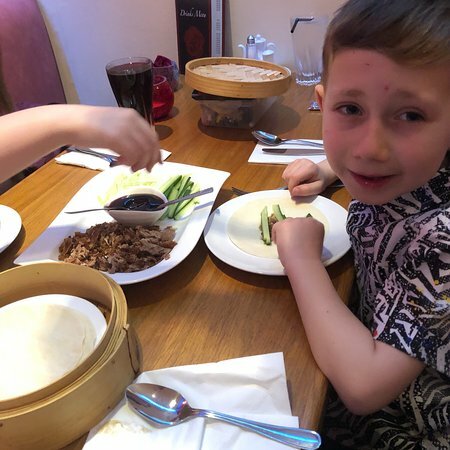 15/04/2019: I used to visit a Chinese similar to this in Bedford which was fantastic, but since moving up I have struggled to find a good Chinese where you can order a la carte for a reasonable price. Queue finding this little gem - lovely location, particularly for a stroll before/after dinner through around the aquadrome, and the food oh my! amazing taste, great service and always pleased. Have been here nearly every week since - my go to restaurant. 15/04/2019: Checked for the best Chinese Restaurant in the Northampton area and this was the place that seemed to be recommended over and over. 03/04/2019: I was visiting Nottingham on business and was taken here by my colleagues. Fast efficient service ensued as dish after dish of terrific food kept coming. I look forward to my next trip! 05/02/2019: If you like Chinese then this is one of the best take aways to visit in Leicester. Old established business that people travel far and wide to collect their takeaways. 06/04/2019: Not being a great fan of Chinese food, I wasnt thrilled to be eating here, but was very pleasantly surprised. We opted for the set menu for 2, which was extremely good value for money and very good. Everything was hot, well cooked, not greasy and tasty. Fresh cutlery and napkins were brought to us, between courses and the plates were hot. A special mention to our 2 waitresses, they were lovely..friendly and chatty. Would certainly go again and would recommend. 19/03/2019: Very much enjoyed our takeaway. Cantonese style food. Fairly predictable choices, but takeaway has its limitations. Impressed by the quantities - the boxes packed full with the main ingredient very much in abundance, whatever the choice. Quality evident in the ‘specials’. Chose four dishes and rice for two of us - far too much. I wish there was an option for smaller portions. 10/02/2019: The welcome is brilliant and the atmosphere for a take away is one of the best. The food is not good. It is expected that most of the dishes are pre-prepared in someway but this must be taken to the limit as there is no hint of freshly cooked food. I hate to say it but most of the supermarkets can do better for flavor and authenticity. We won't be going back... I actually can cook better food myself and this underlines that it is worth taking the time. It is such a shame. 14/04/2019: We found this restaurant by chance. The early bird tea time menus are well worth arriving before 7.30 pm for. Delicious food and a good selection. 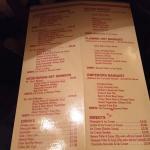 Warm prawn crackers were a real treat and the crispy duck was definitely worth ordering. 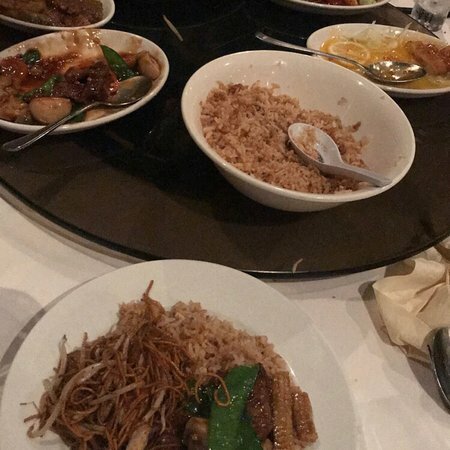 29/03/2019: best chinese ive had for a long time. we ordered by telephone and picked it up. All the dishes were very tasty not greasy we all enjoyed the meal it was very good would recommend. 26/02/2019: For years I’ve been driving past Grantham on my way from the south to Yorkshire but this time, hungry for breakfast and desperate for a coffee, I decided to stop in the town to find a cafe. The Knightingales was an unexpected delightful find. My egg and bacon sandwich and black coffee were just what I needed. The service was quick and my modest order just right. Above all I loved the friendly atmosphere, the early morning chat between the customers and the owner (? ), conversations from Brexit to Venezuela, an RAF flypast to rugby, to testing a teenager on multiplication! 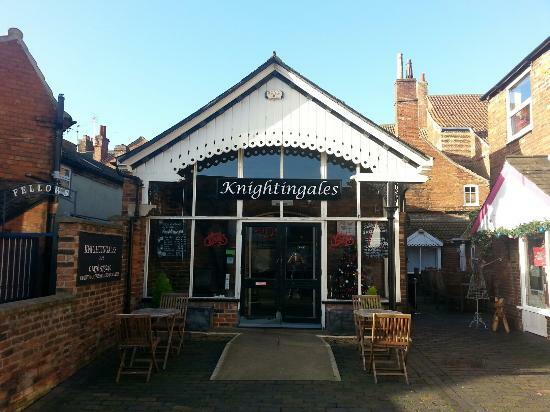 A friendly familiar atmosphere, just perfect for a market town cafe. I will stop again! 11/04/2019: Never have a bad thing to say when I come here. Great tasty food and lovely service. Would definitely recommend for special occasions with friends and family. 17/03/2019: Went with a group,of friends to Yum Sing for Chinese New Year banquet. A very enjoyable evening. Food was excellent. Very attentive staff and service very good. Raffle at the end was very good touch. 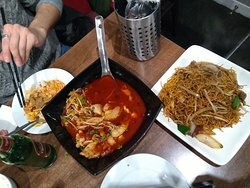 23/03/2019: Really friendly and helpful service, excellent quality Chinese food and masses of it. We really enjoyed our meal here and the food was probably the best I’ve ever had in a Chinese restaurant. We will be back! 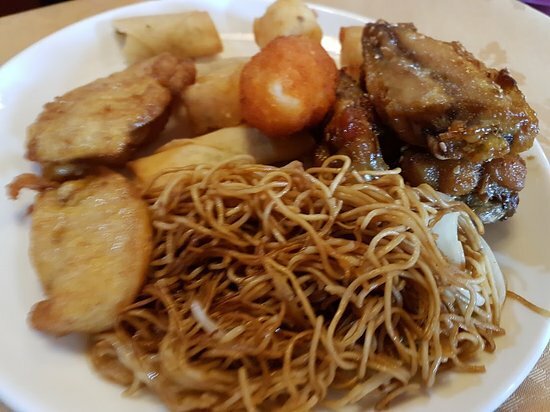 15/08/2016: I thought I would try the sunday lunch buffet, 30 dishes available.. food was ok, prawn dish was bland, so won't have that again. 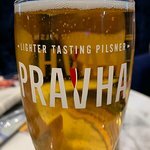 I ordered a glass of cider, I asked was it draught, the waiter told me it was out of can, when it came it was in a bottle, no problem with that, but waiter lacked knowledge of drinks. incidentally , waiter walked pass my empty glass three times, never asking me if I wanted any more drinks, so not a good sales man I think.. I had to ask for cutlery, as there was none on the table. cutlery was of cheap quality, and almost bent as I tried to use it.. Décor was nice, although let down by large cobwebs in the corner of room.. I wouldn't say i'de never go back. but I wouldn't rush back..
02/01/2016: Eleven of us, including friends visiting from Tazmania, decided to celebrate our New Year at Lee Garden, and we were not disappointed. We arrrived at 7,30 and left at 12.30 am and were extremely well looked after for the whole evening. The food was excellent, and there was plenty of it. The place was busy and clearly very popular. Our courses were well spaced to fill the evening, but not so much as we felt neglected. 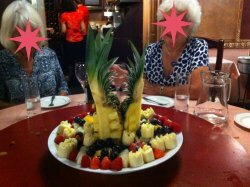 The service was very friendly and attentive and we celebrated the arrival of the new year with poppers and champagne etc. Due to the fact that many of us live in different parts of the country/different countries - we had not been here for years. But it was as good as we remembered and we were very impressed.